This system produces Ultrapure 18.2 Megohm-cm Reagent Grade DI Water at a flow rate of 8-12 LPM. This AQUA SOLUTIONS unit operates on pretreated water. For ordinary tapwater operations see Model: 2035AL. The Purification Kit Number 2635M1T is required to ensure optimal performance of this laboratory water purification system. This system is used with water pretreated via reverse osmosis, distillation or deionization by a central or point-of-use pretreatment system, and contains less than 20 PPM of TDS (total dissolved solids). 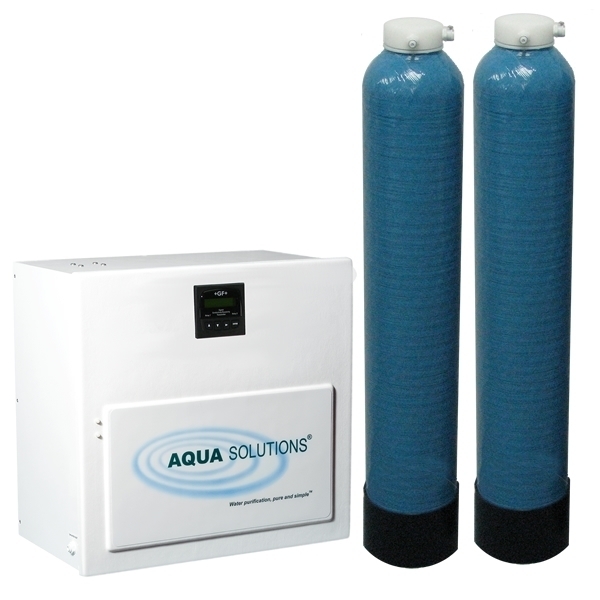 Type I Ultrapure water is instantly available on demand up to 7-10 feet from the system via the included remote dispensing valve with 0.22-Micron absolute final filter. The built-in dual wavelength UV Oxidizer/Sterilizer reduces TOC levels to < 5 PPB, prevents the growth of microorganisms within the system, and alerts you when it is time to change the UV lamp.